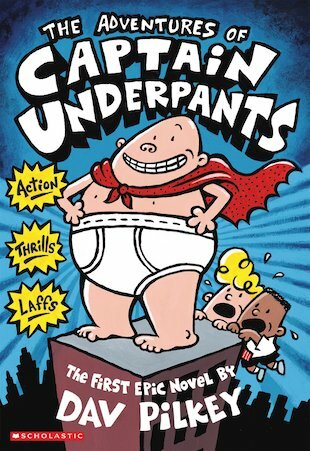 When naughty George and Harold hypnotise their headteacher, they accidentally create the greatest superhero in the history of their school — CAPTAIN UNDERPANTS! His true identity is so secret that even HE doesn’t know who he is, but he’s fighting for Truth, Justice and All Things Pre-Shrunk and Cottony! If you’re a naughty villain like the diabolical Dr Diaper, watch out! Captain Underpants has wedgie-power on his side, and he’s coming your way. Stop, in the name of Underwear! this epic book is truly amazing. i really love it!